Do you love the look of natural stone, but are unsure where you should put it in your home? 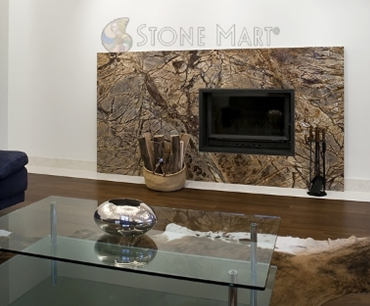 At Stone Mart, we want to help you discover new places you can put natural stone other than the countertop. Our staff will even help you select which unique slab is the perfect one for your specific idea. Walkways- Create a beautiful pathway with natural stone in your backyard. Whether the walkway is leading to the pool or across the yard, we recommend natural stone for a special look. Feature Wall- Make a bold statement with a feature wall in the living room or dining room. This is one of the latest up and coming trends because it adds a unique touch to your home, without decorating. You can customize your feature wall with the type of stone including marble, granite, limestone, semi-precious, onyx, porcelain, mosaic, and quartzite. You can also decide to cover the entire wall with the natural stone or you can showcase your fireplace or TV. With this new list of natural stone ideas, we hope you are open to trying new designs with stone. Whether you are looking for a marble slab or granite slab in Los Angeles, let us help you pick out the ideal one. To inquire about our pricing, give us a call at (818) 765-4800 right now.